Suitable for cutting fruit trees and non-super intensive olive planting. 1800 mm long horizontal cutting with hydraulic positioning. Very robust, solid reinforced doublé saw cutting system. Engine with great cutting capacity. 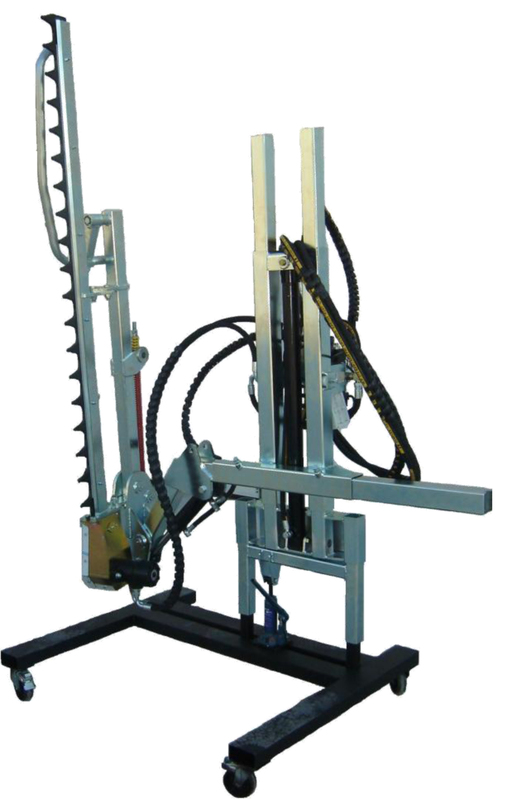 Mechanical scanner system which provides correct operation without damaging the tree trunk. Includes as standard electrical command with constant pressure.